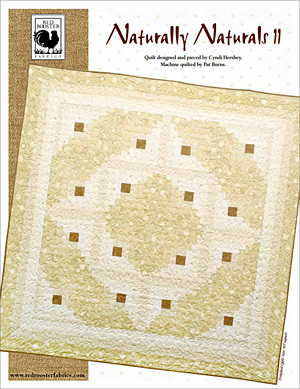 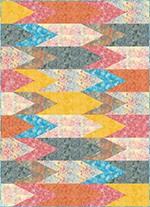 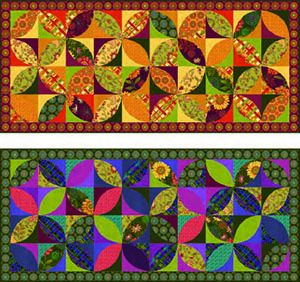 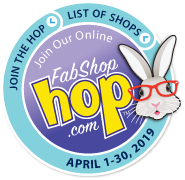 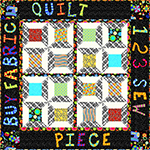 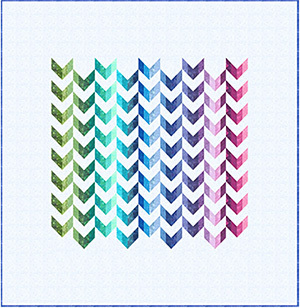 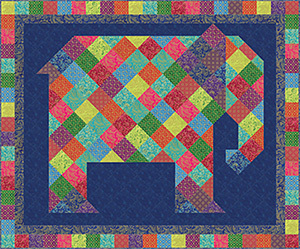 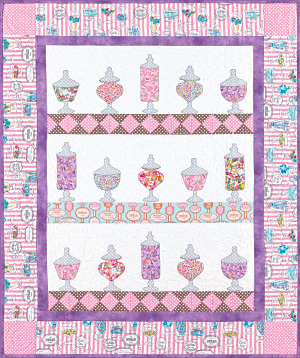 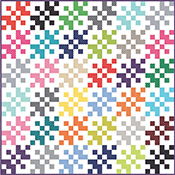 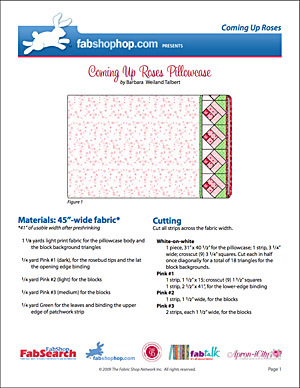 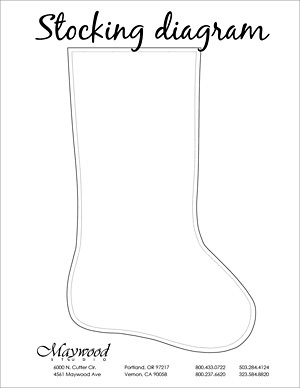 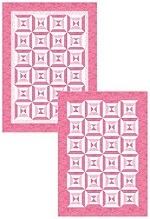 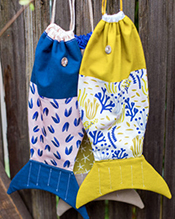 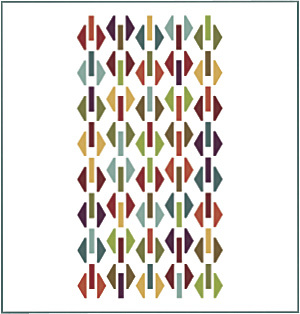 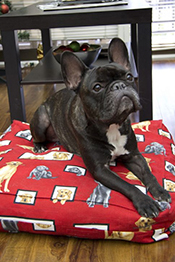 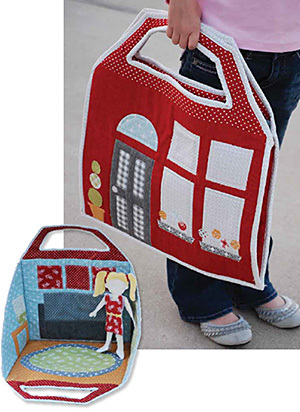 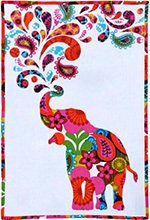 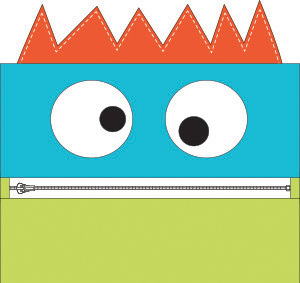 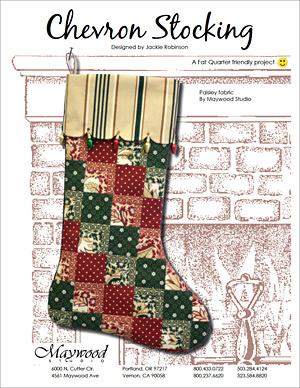 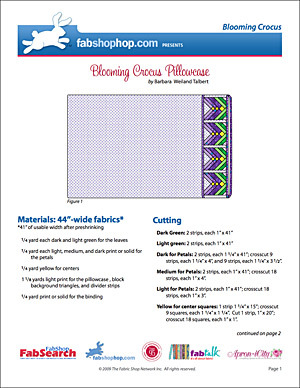 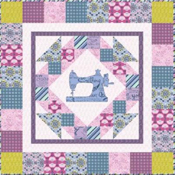 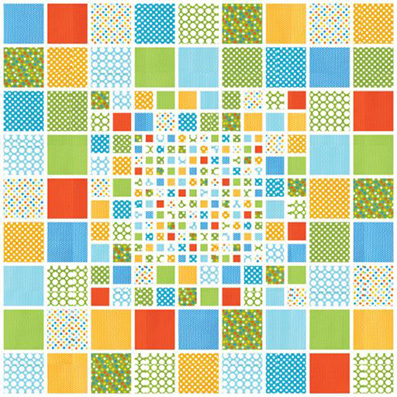 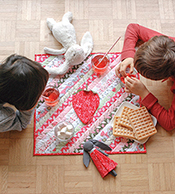 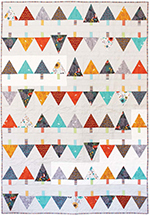 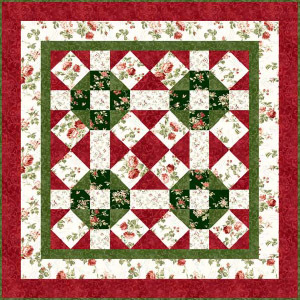 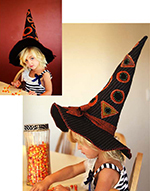 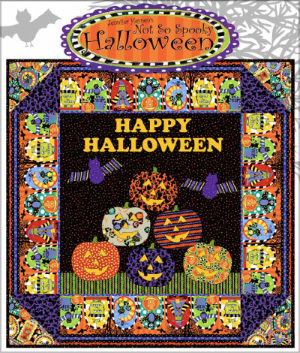 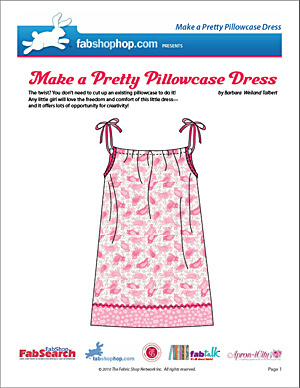 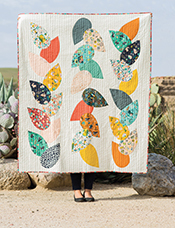 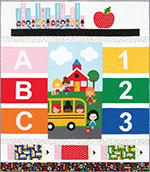 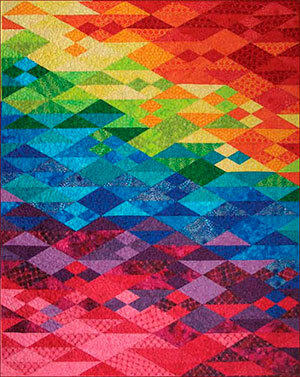 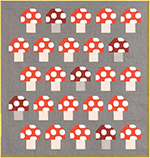 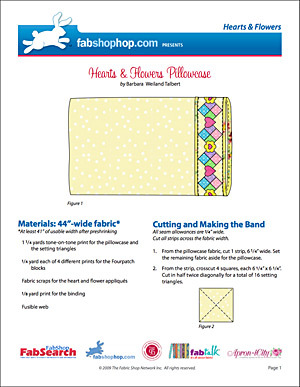 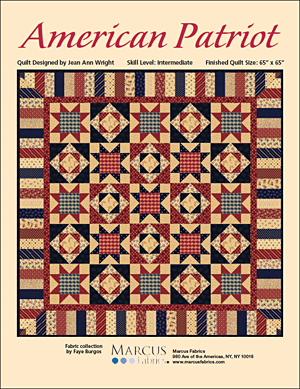 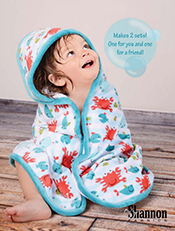 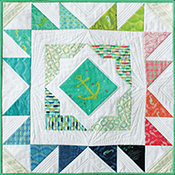 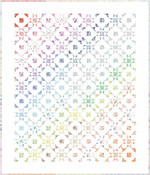 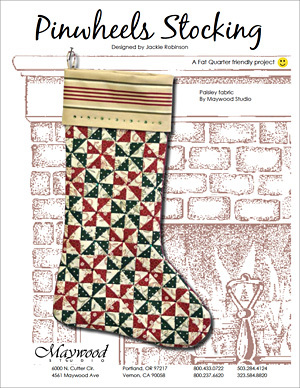 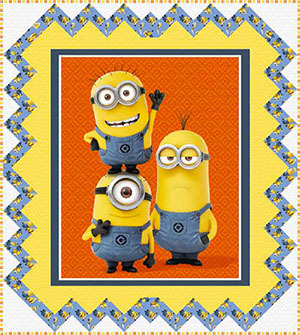 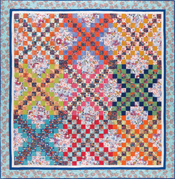 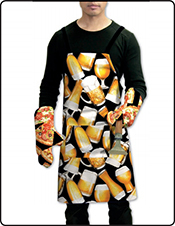 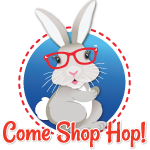 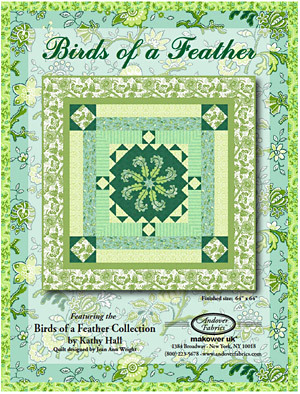 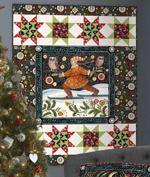 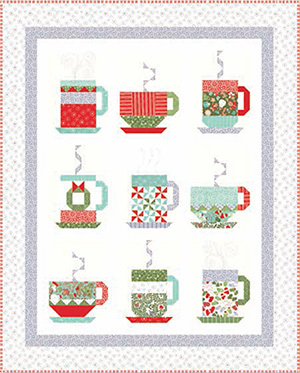 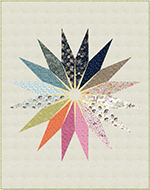 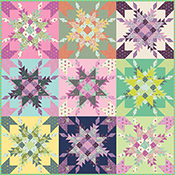 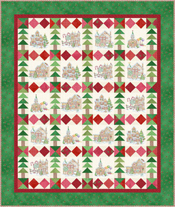 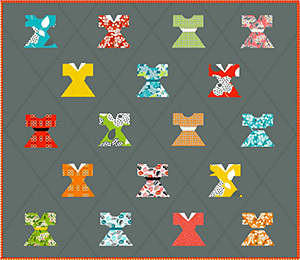 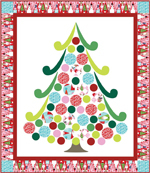 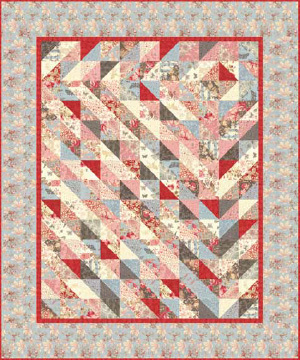 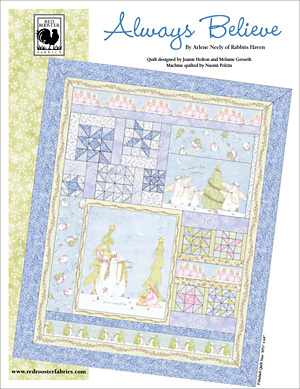 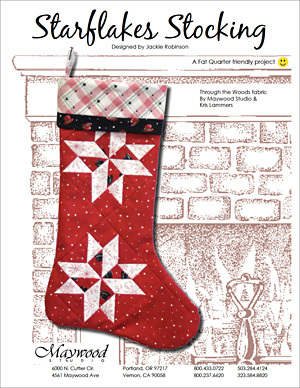 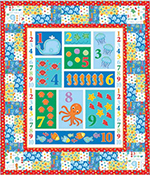 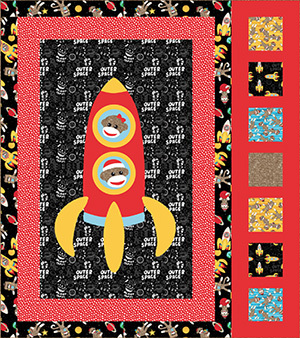 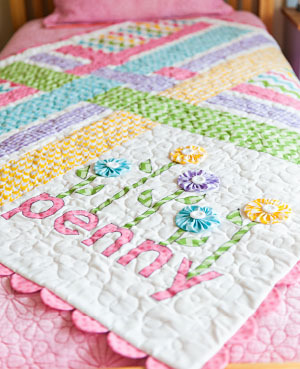 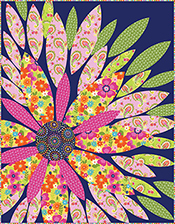 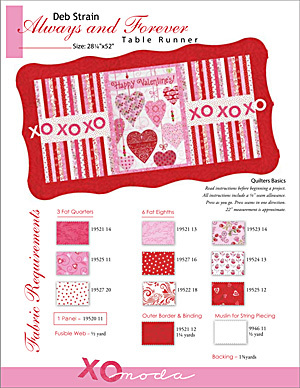 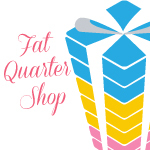 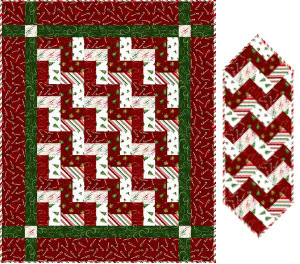 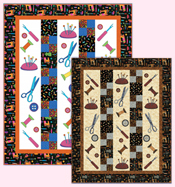 FabShop Hop introduces you to a variety of free patterns from fabric manufacturers and pattern designers across the quilting and fabric industries including free in-house patterns. 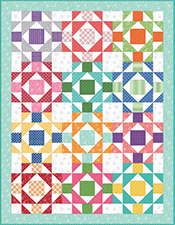 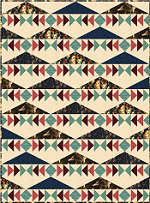 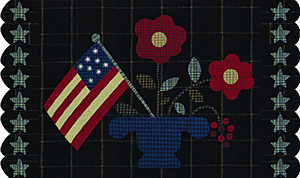 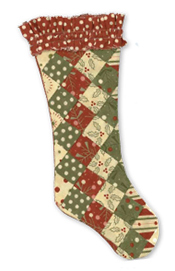 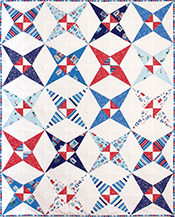 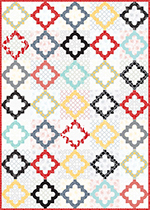 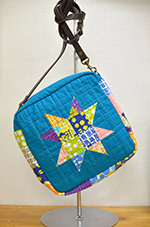 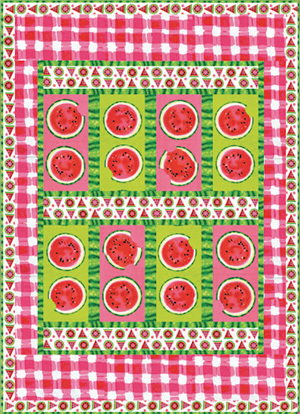 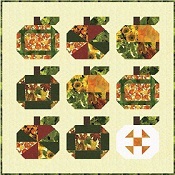 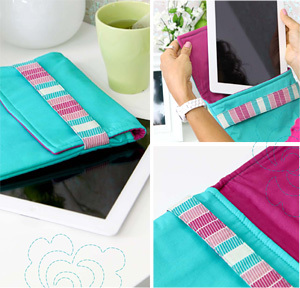 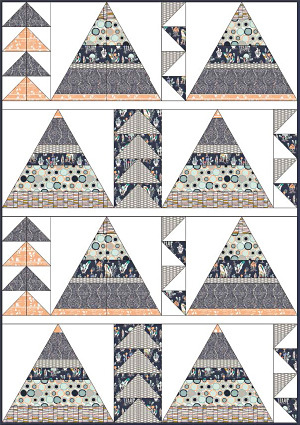 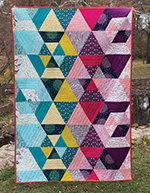 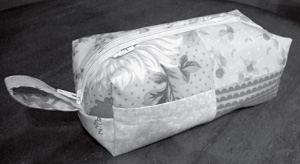 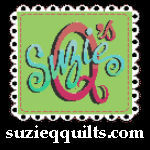 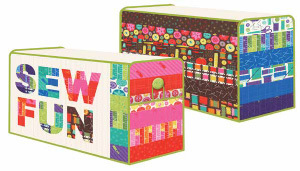 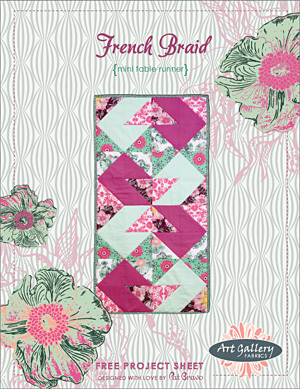 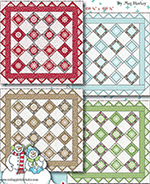 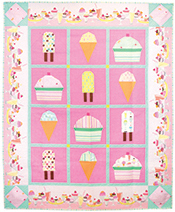 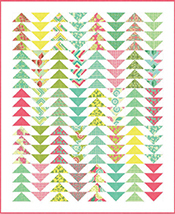 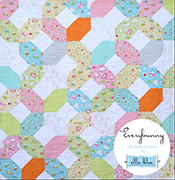 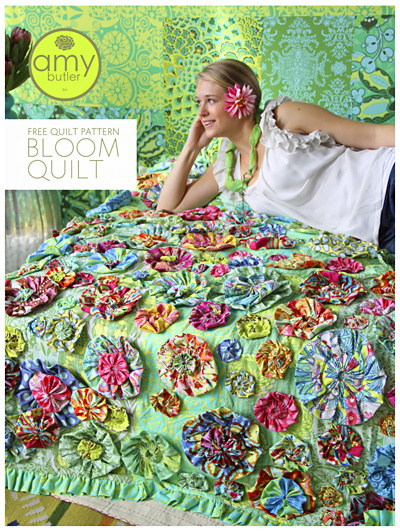 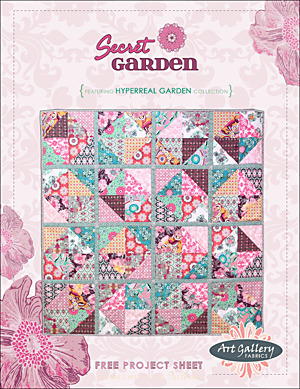 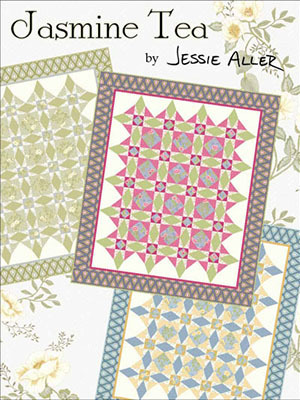 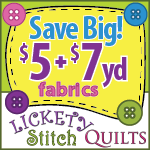 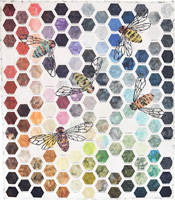 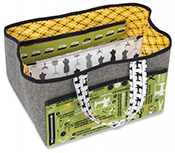 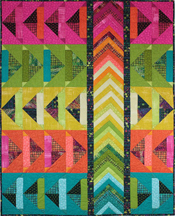 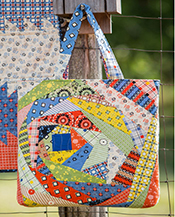 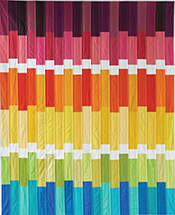 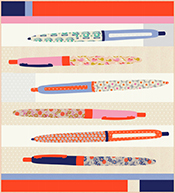 To find the fabric featured in each pattern, check your local independent quilt and fabric shops. 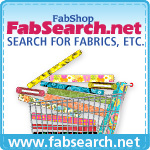 If you can't find what you are looking for locally, then search online independent shops on FabSearch! 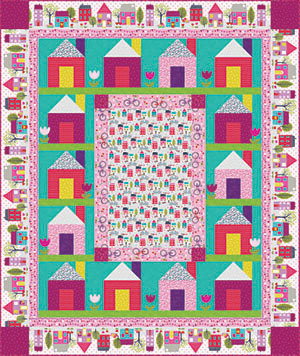 Little House on the PrairieB. 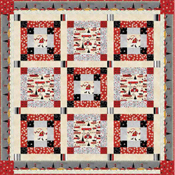 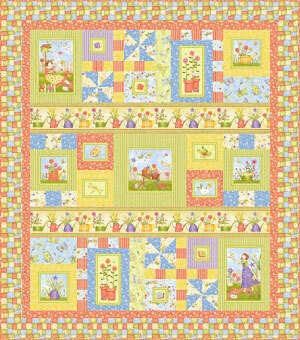 Always Believe by Arlene Neely for Red Rooser. 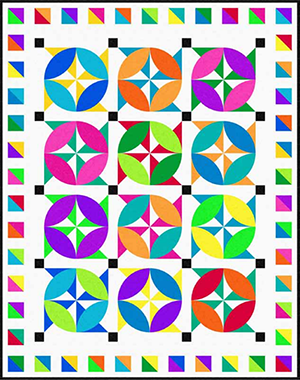 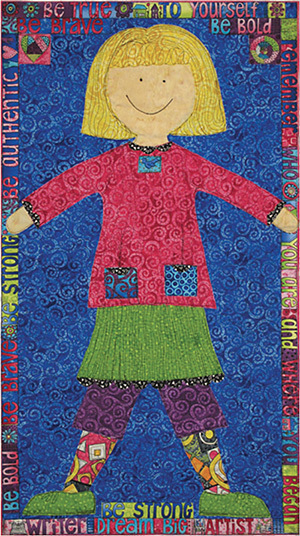 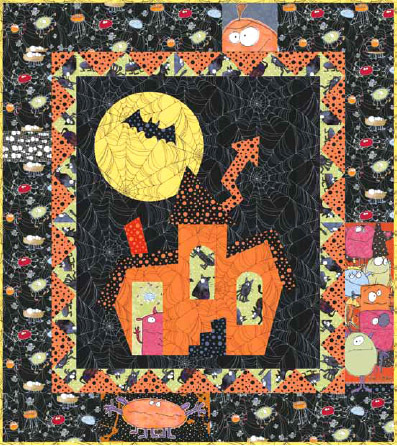 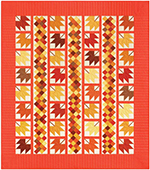 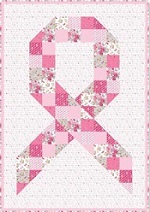 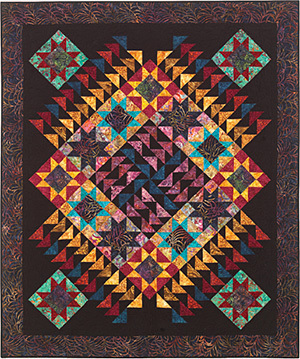 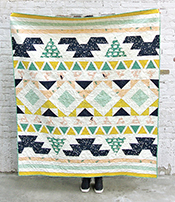 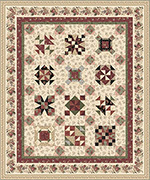 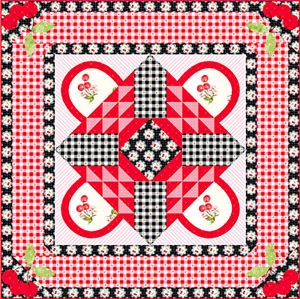 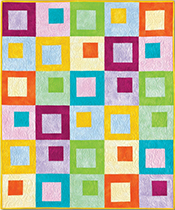 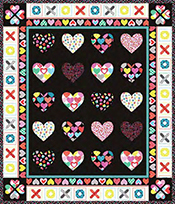 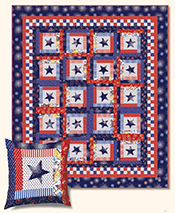 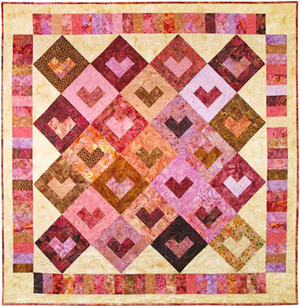 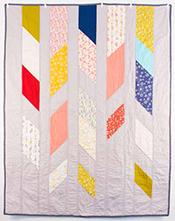 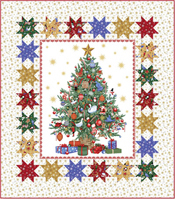 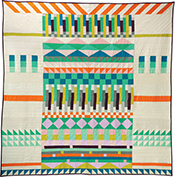 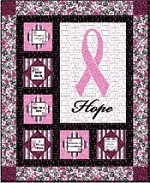 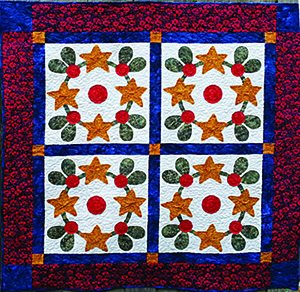 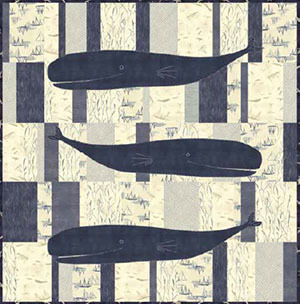 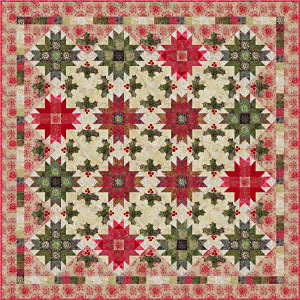 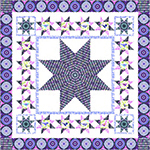 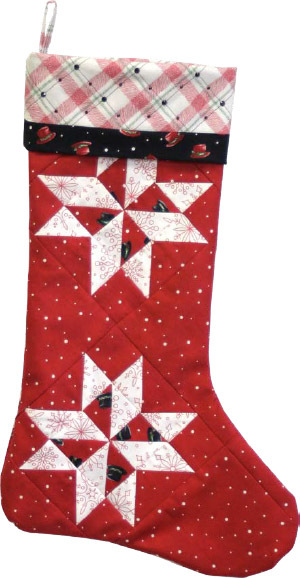 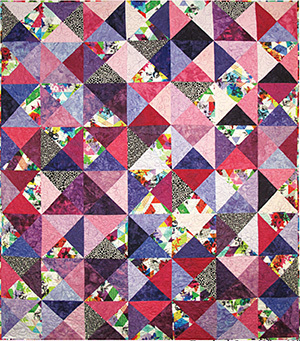 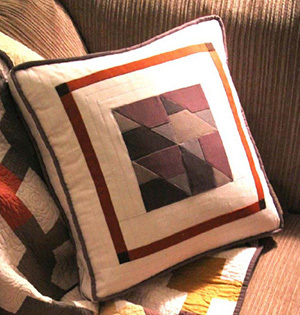 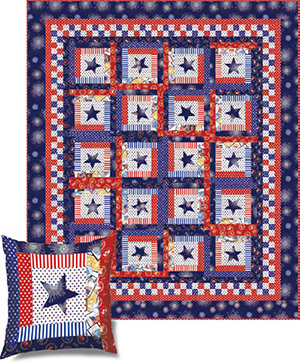 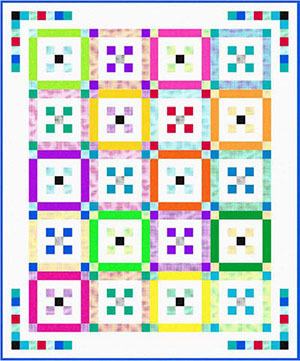 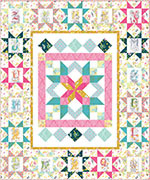 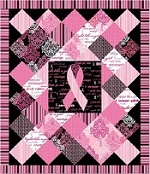 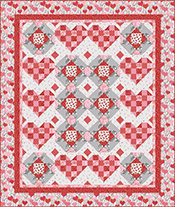 Quilt designed by Joanie Holton and Melanie Greseth. 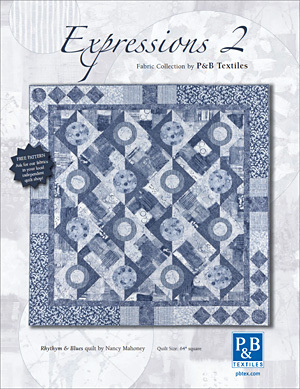 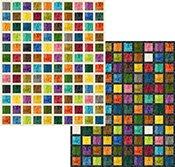 Expressions 2 Fabric Collection by P&B Textiles. 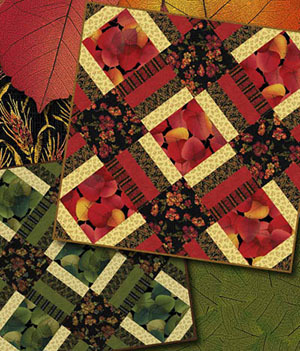 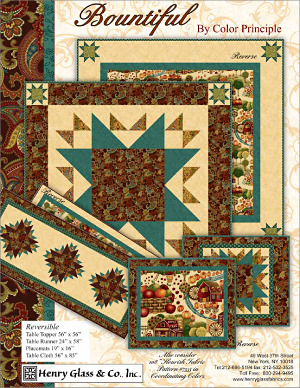 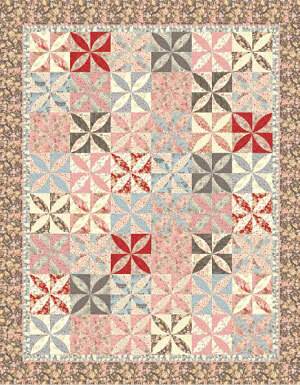 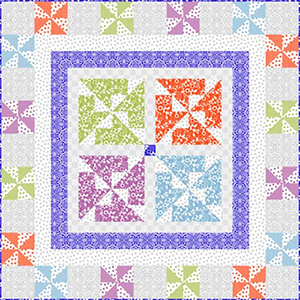 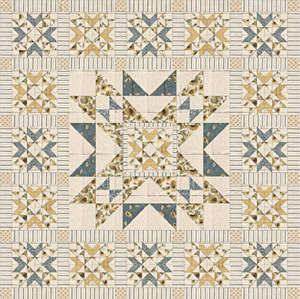 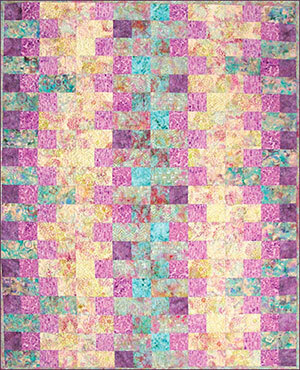 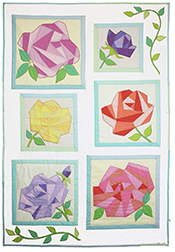 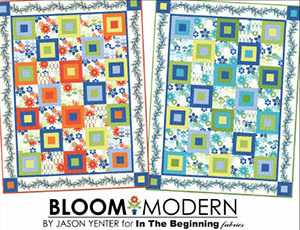 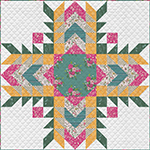 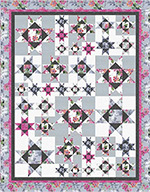 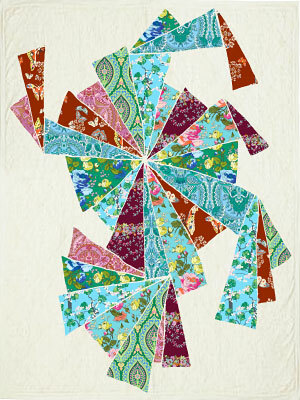 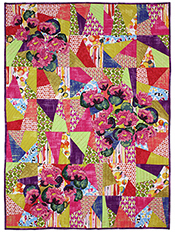 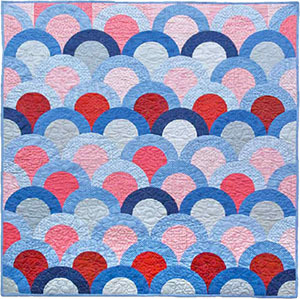 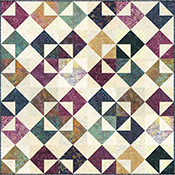 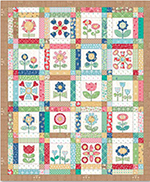 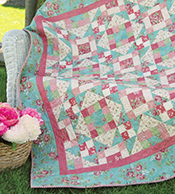 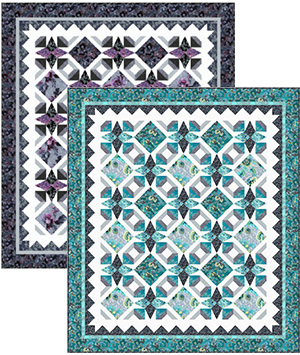 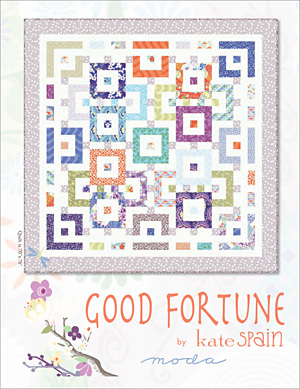 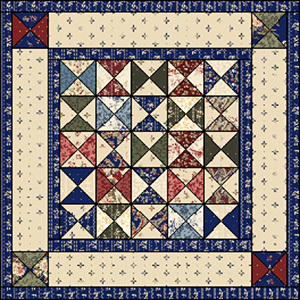 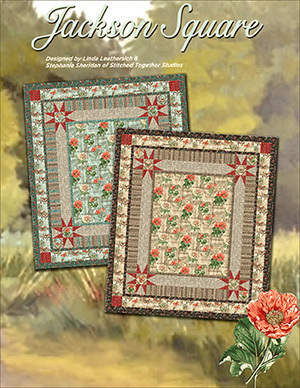 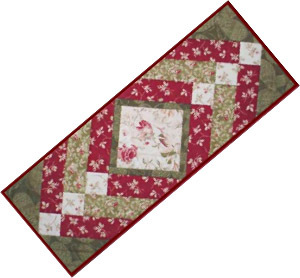 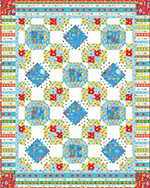 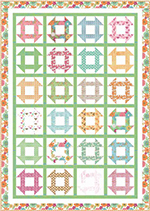 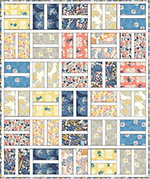 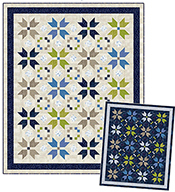 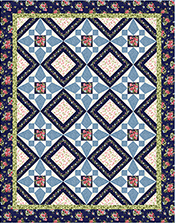 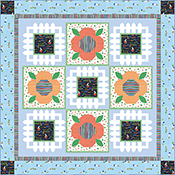 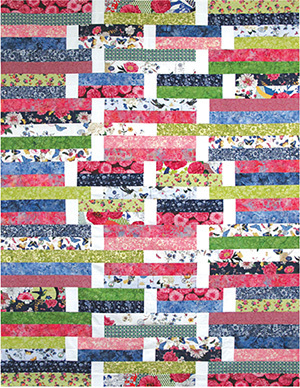 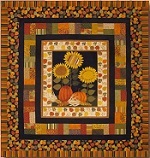 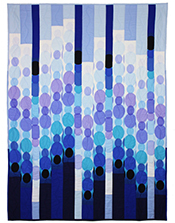 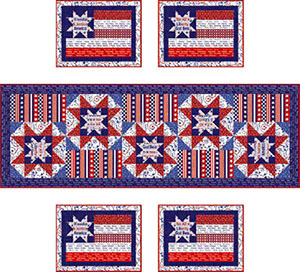 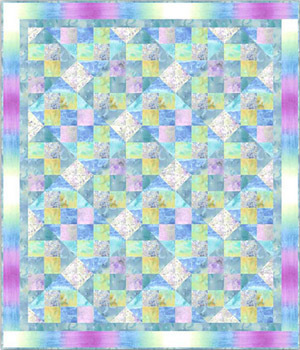 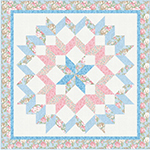 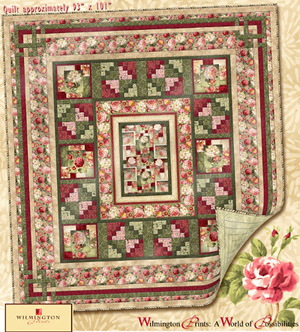 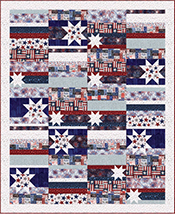 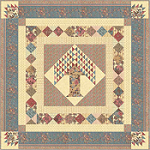 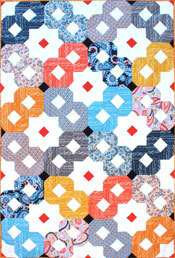 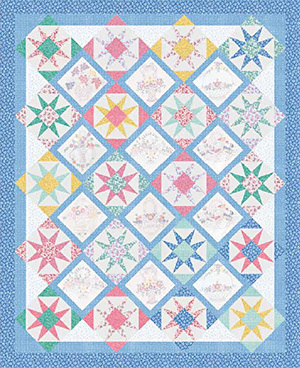 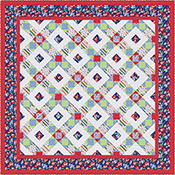 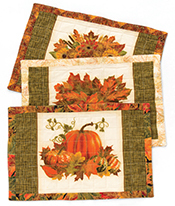 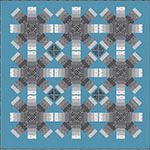 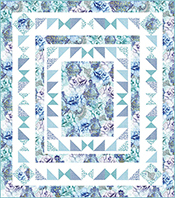 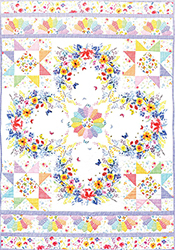 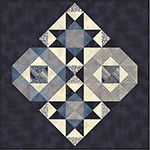 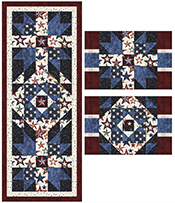 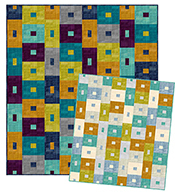 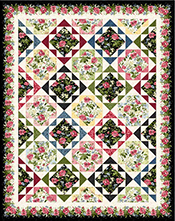 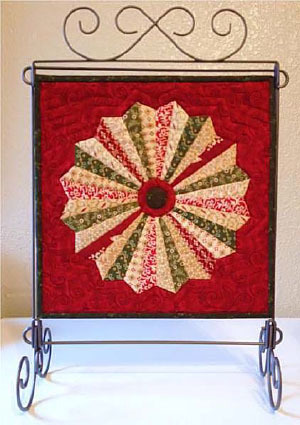 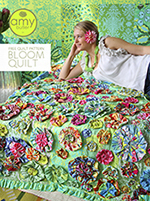 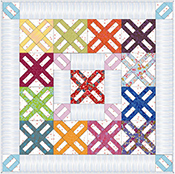 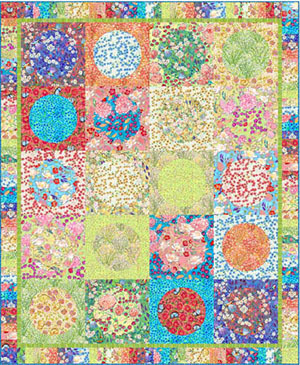 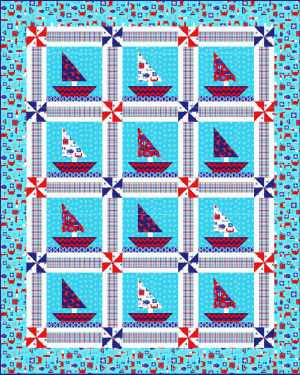 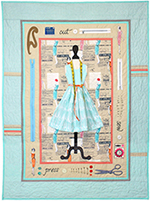 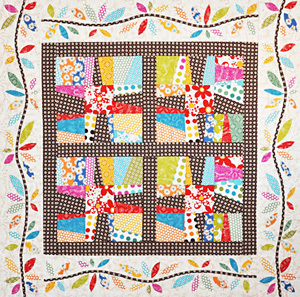 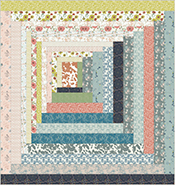 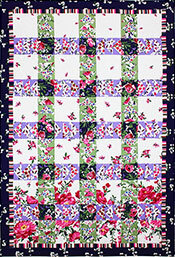 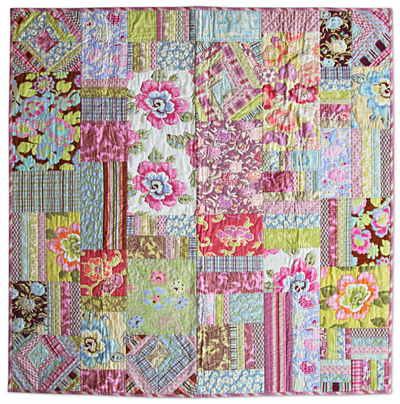 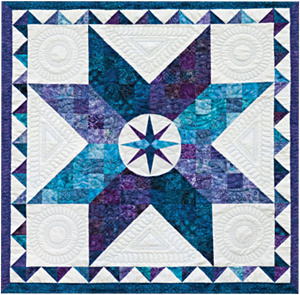 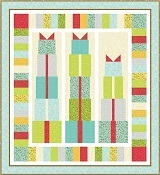 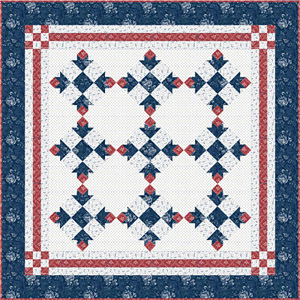 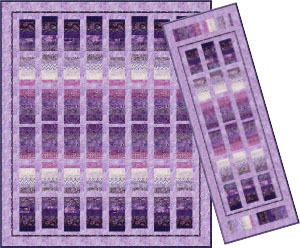 Rythym & Blues quilt by Nancy Mahoney. .
Floral Envelopes by Pat Bravo for Art Gallery Fabrics. 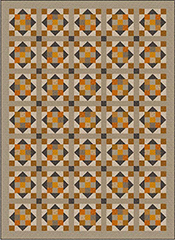 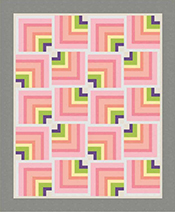 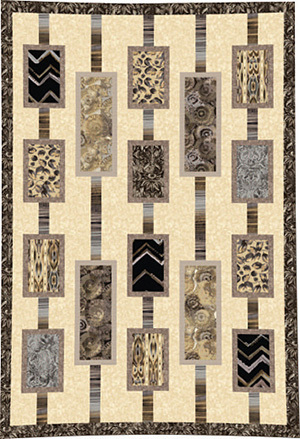 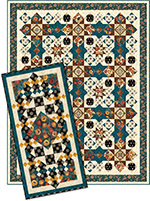 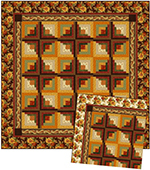 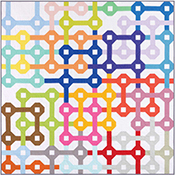 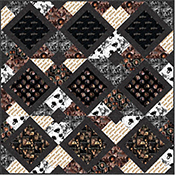 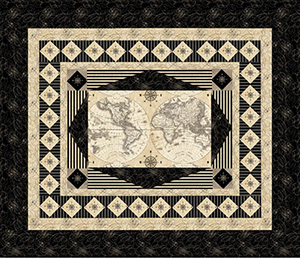 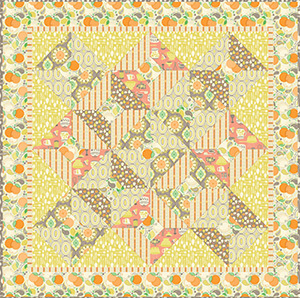 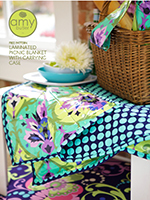 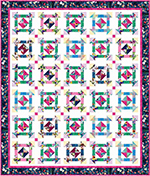 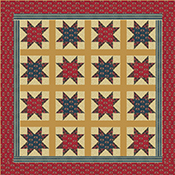 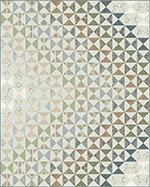 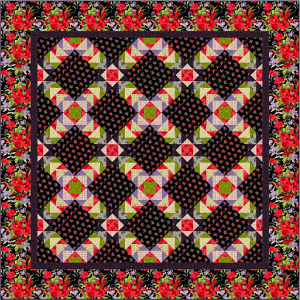 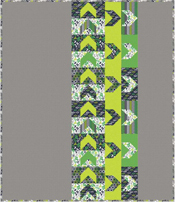 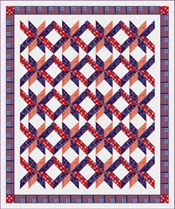 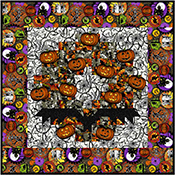 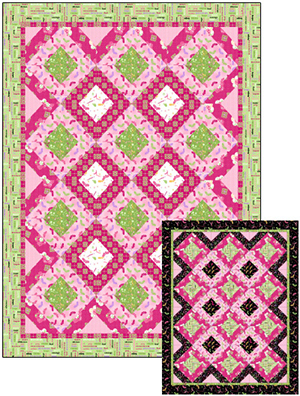 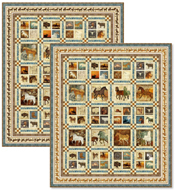 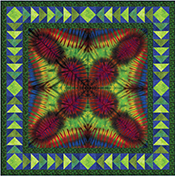 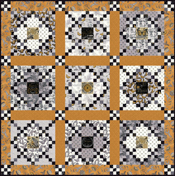 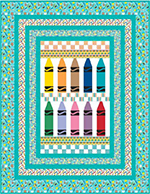 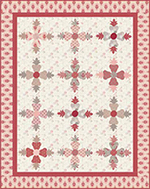 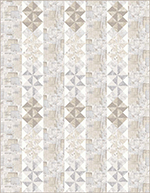 Tablet Coverlet by Pat Bravo for Art Gallery Fabrics. 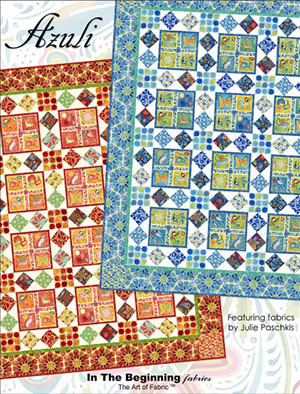 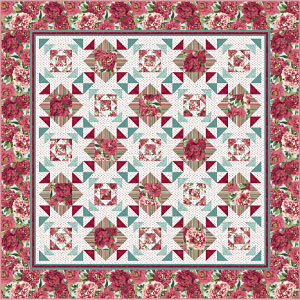 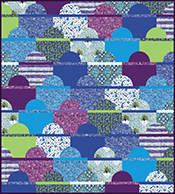 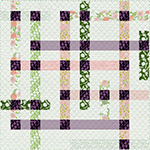 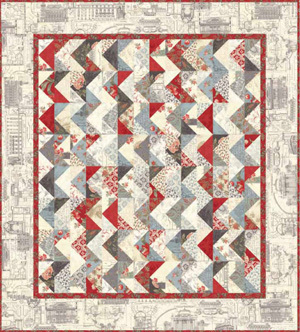 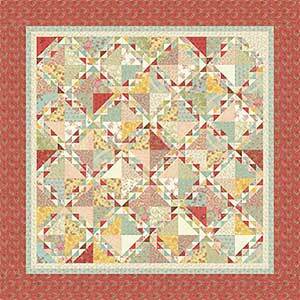 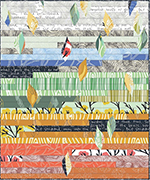 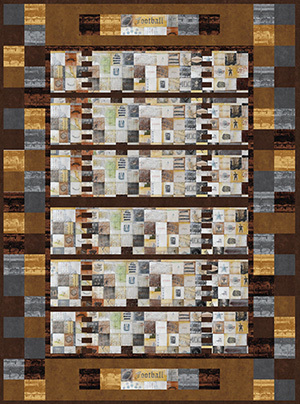 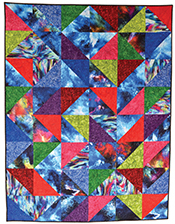 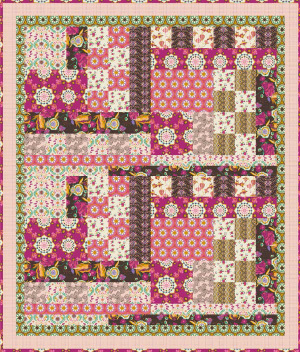 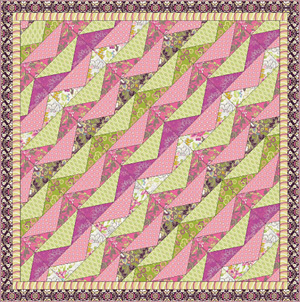 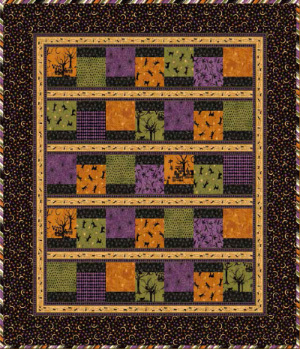 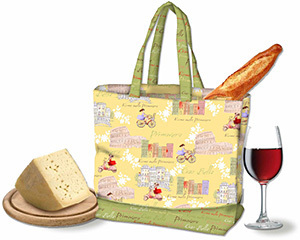 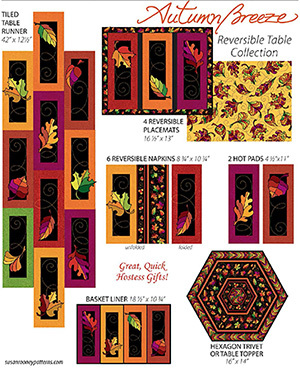 Serendipity by Pat Bravo for Art Gallery Fabrics. 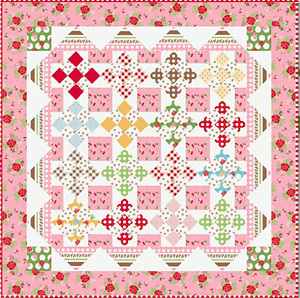 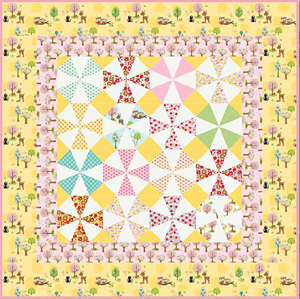 Cherry a la Mode is from Riley Blake Designs by Lori Holt of Bee in my Bonnet. 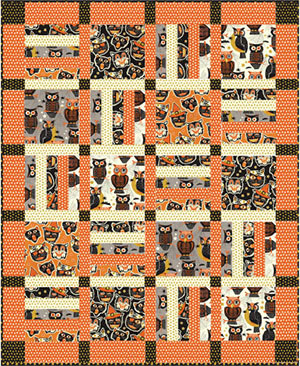 Forest Friends is from Riley Blake Designs byDoohikey Designs. 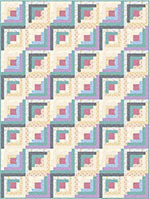 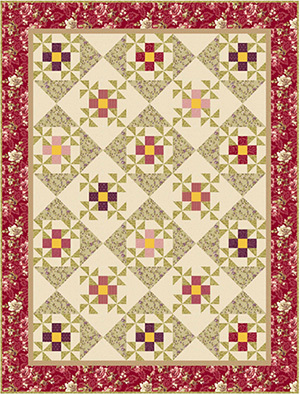 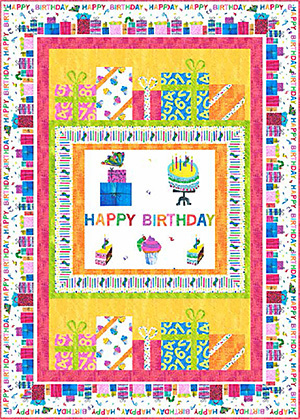 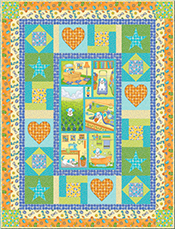 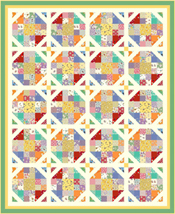 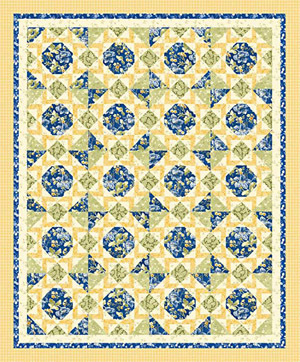 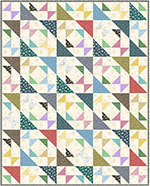 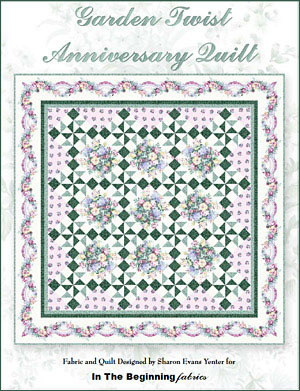 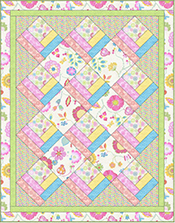 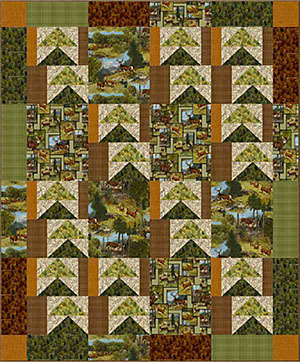 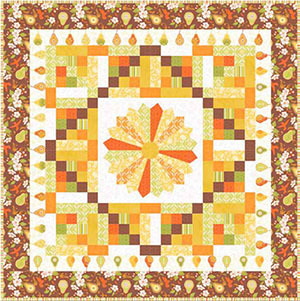 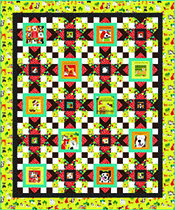 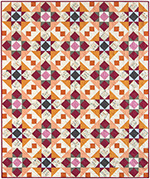 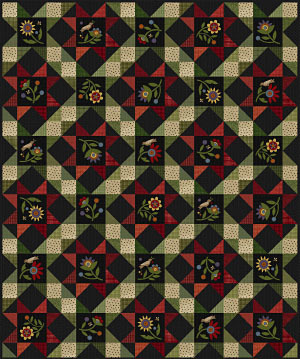 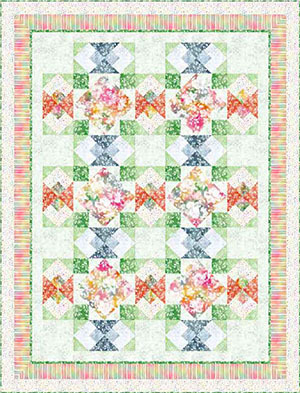 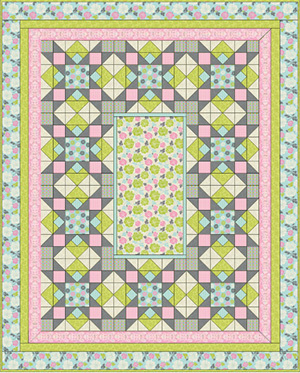 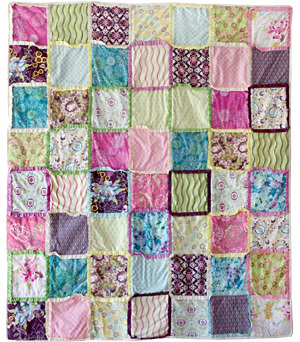 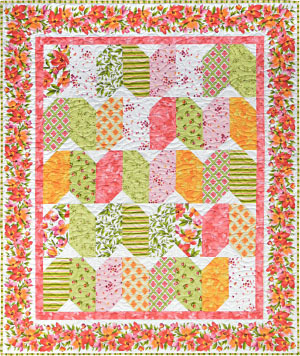 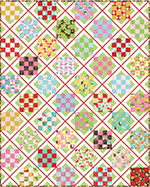 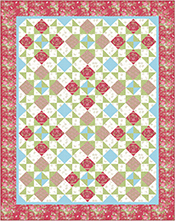 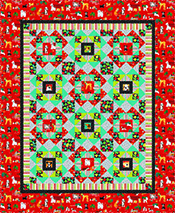 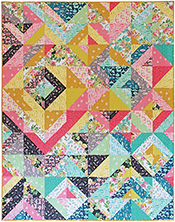 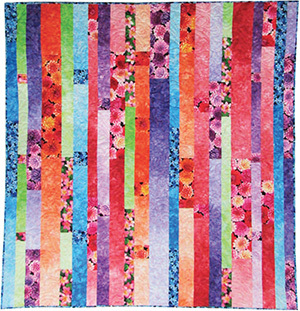 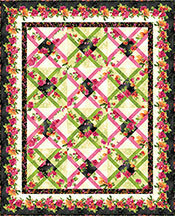 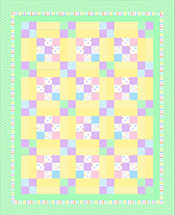 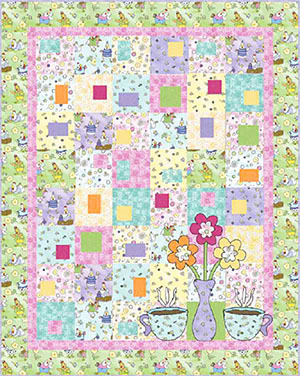 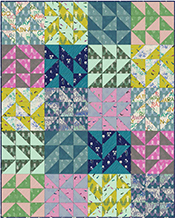 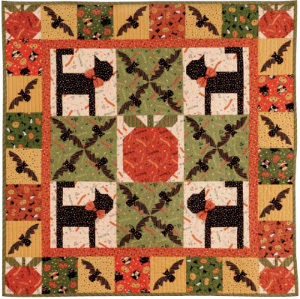 Garden Twist Anniversary Quilt from In The Beginning Fabric. 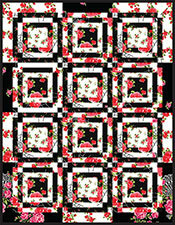 Fabric and quilt designed by Sharon Evans Yenter! 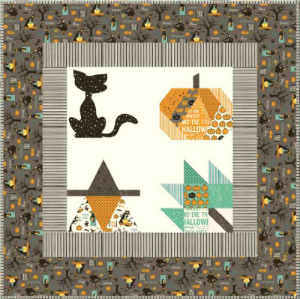 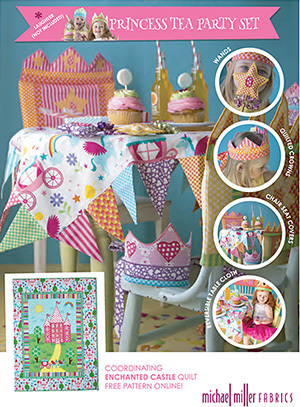 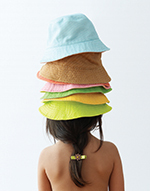 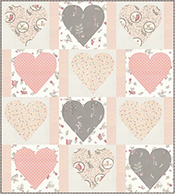 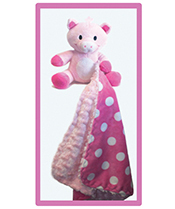 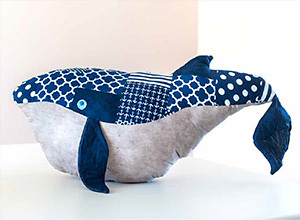 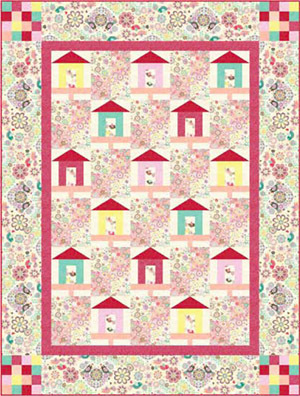 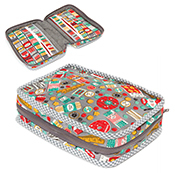 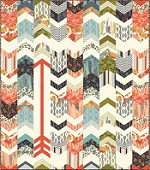 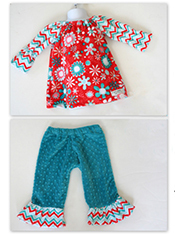 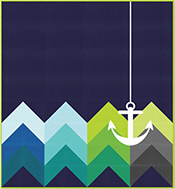 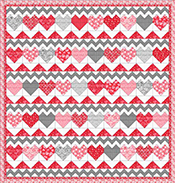 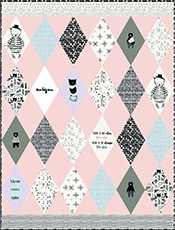 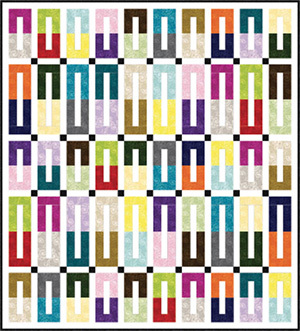 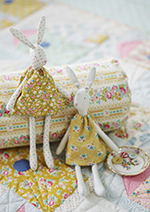 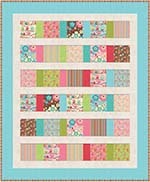 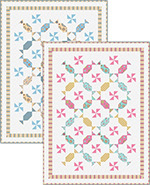 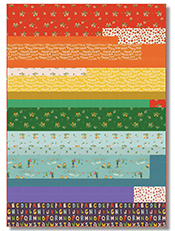 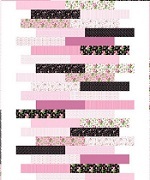 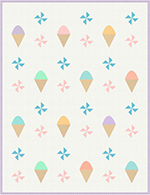 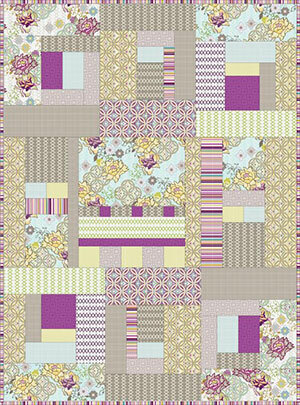 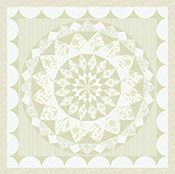 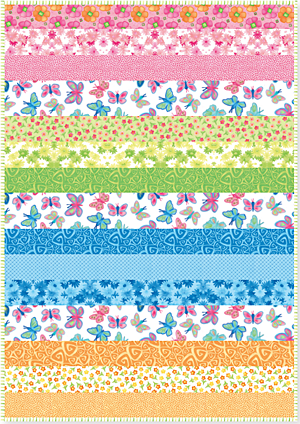 Dream a Little Dream With Meis from In the Beginning Fabrics. 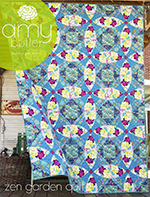 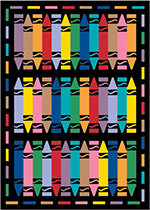 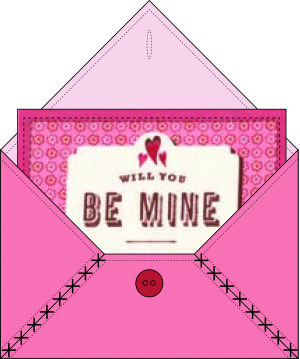 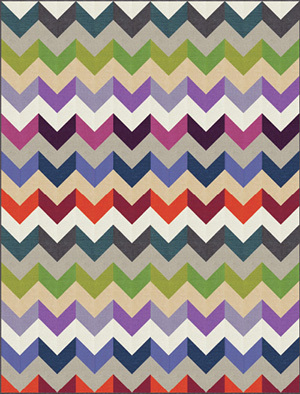 Fabric designed by Keri Beyer. 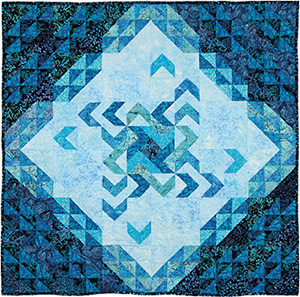 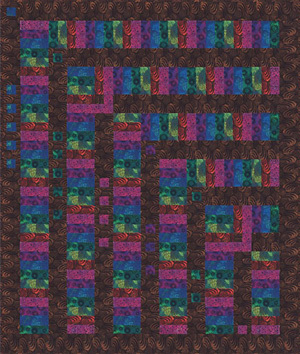 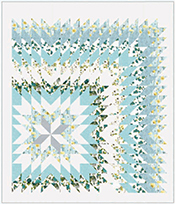 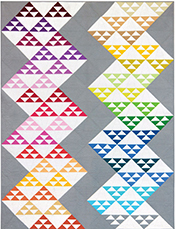 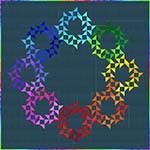 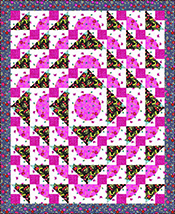 Quilt Designed by Jason Yenter. 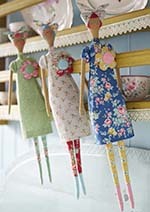 by Red Rooser. 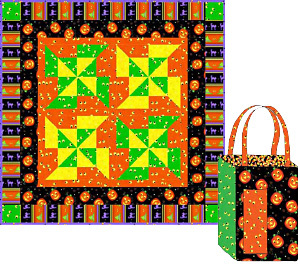 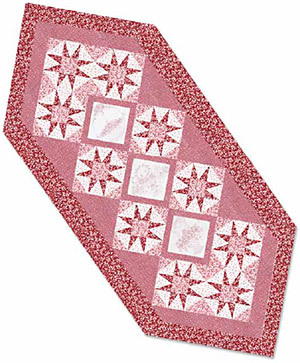 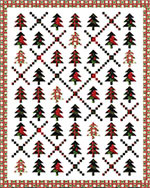 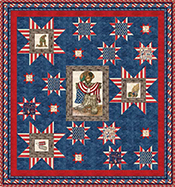 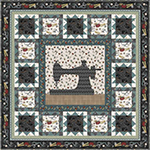 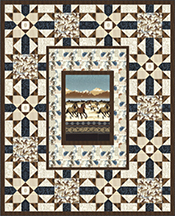 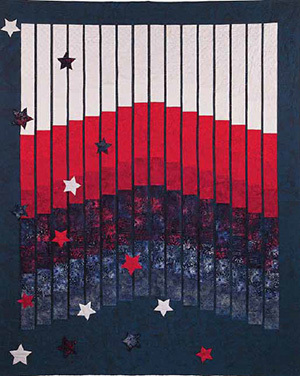 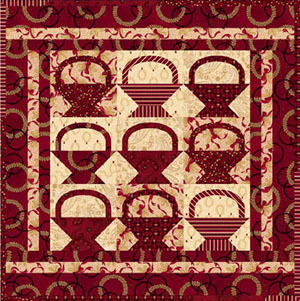 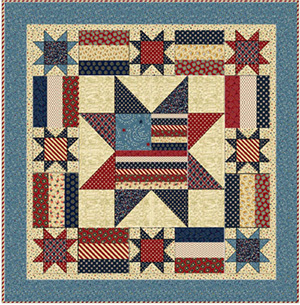 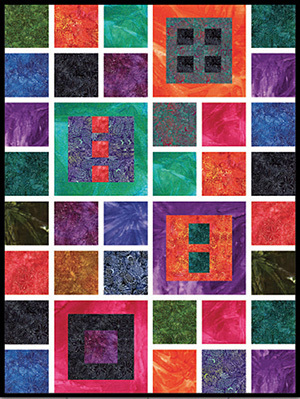 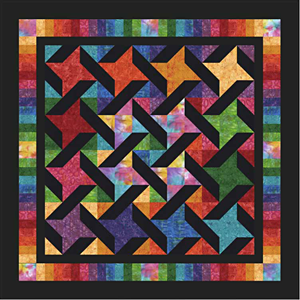 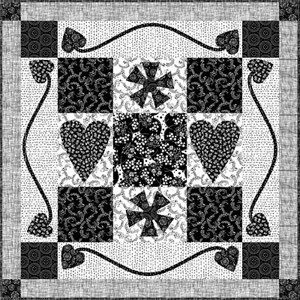 Quilt designed by Cyndi Hershey. 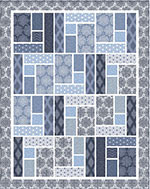 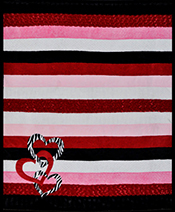 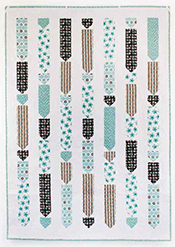 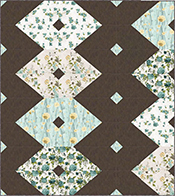 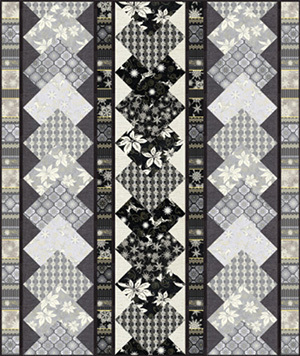 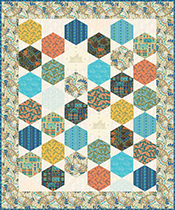 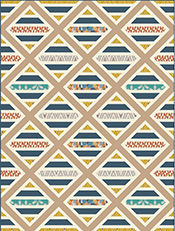 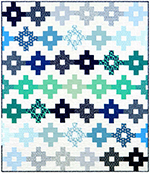 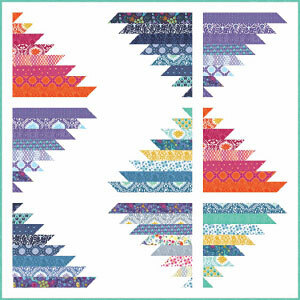 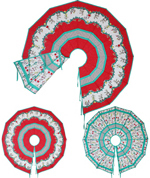 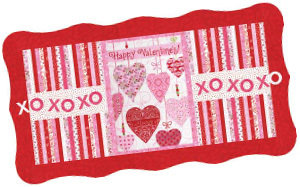 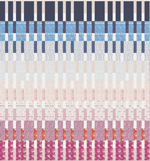 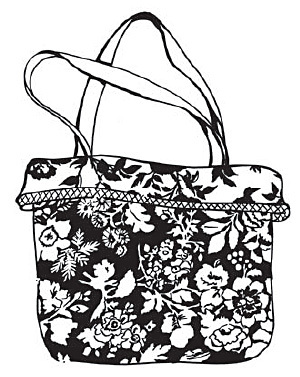 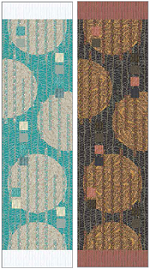 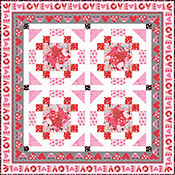 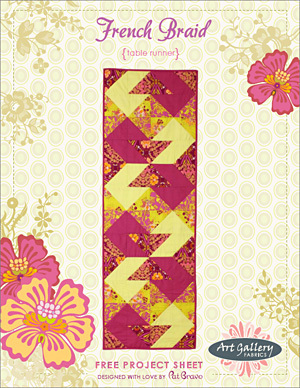 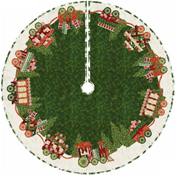 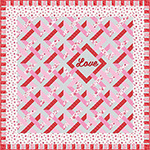 Bali Love Song Designed by Elisa Wilson for Hoffman Fabrics. 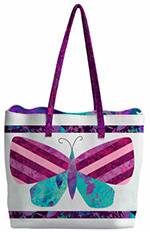 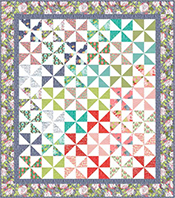 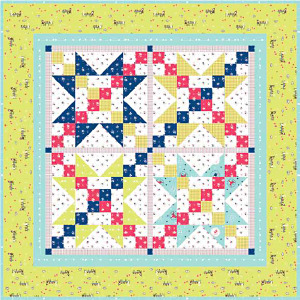 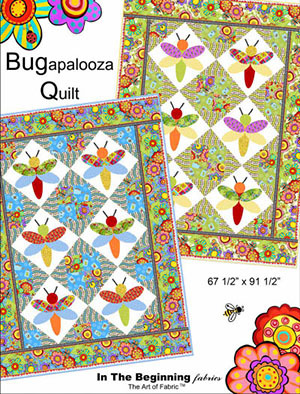 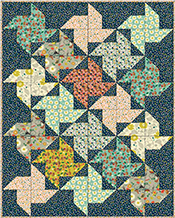 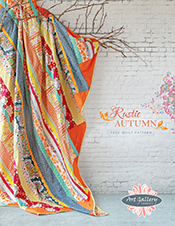 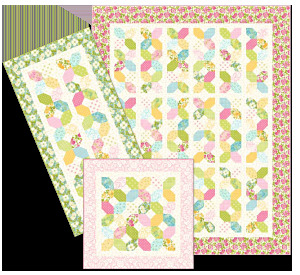 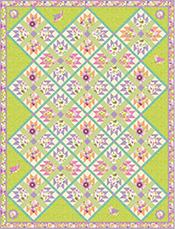 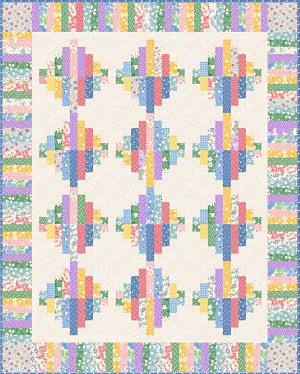 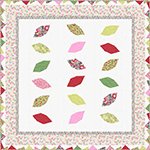 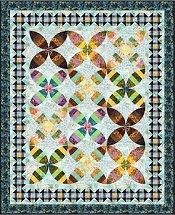 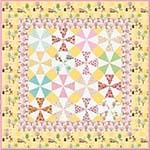 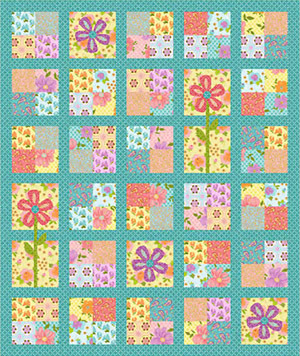 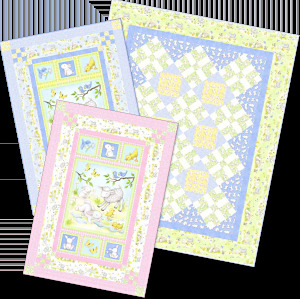 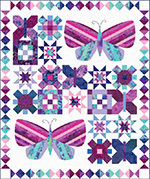 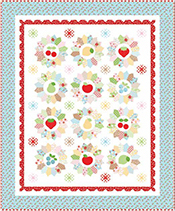 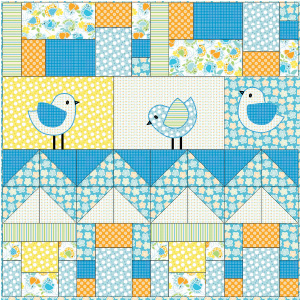 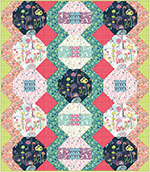 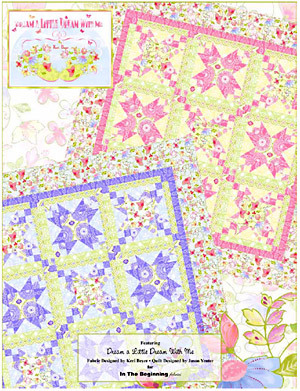 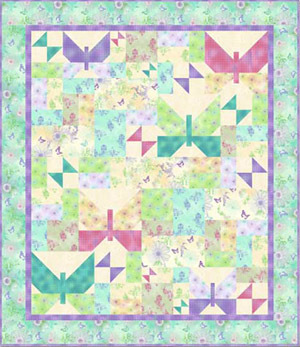 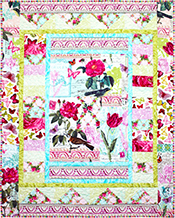 Just Flutterin' Designed by Denise Russart for Hoffman Fabrics. 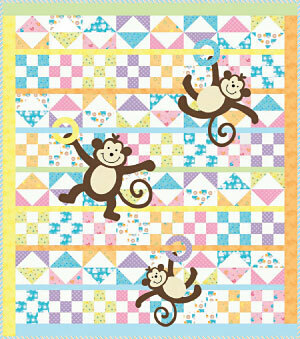 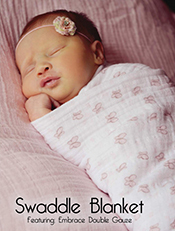 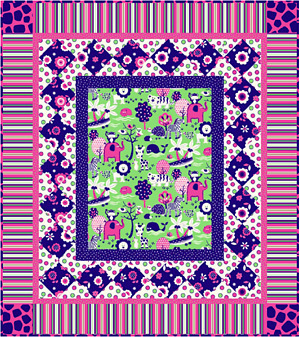 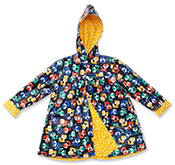 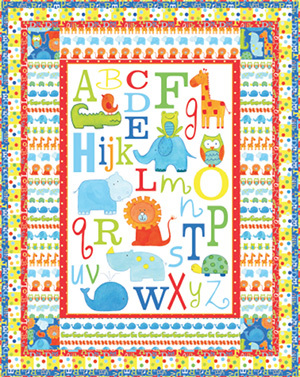 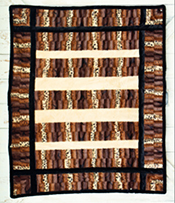 Fluffy Jungle Flannel is designed by Jean Ann Wright for Marcus Fabrics. 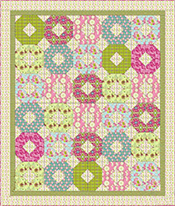 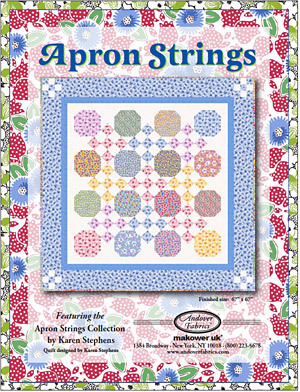 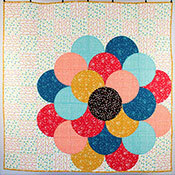 Daisies & Dots from Robert Kaufman and Piece O' Cake Designs!